If you are looking for a way to make flying more affordable, the Flying Club of Kansas City might be the place for you. As a member of a flying club you will be an owner, not a renter. Because of the shared-ownership nature of the Club, you are not paying someone’s profits in the airplane rental rates. As a result, your flying dollar goes much further than renting at local flight schools or FBOs. Also, club members determine how the airplanes are operated, cared for, and upgraded. And finally, our member-to-airplane ratio ensures excellent airplane availability. Our Cessna 182 offer a great combination of speed, cost and useful load. 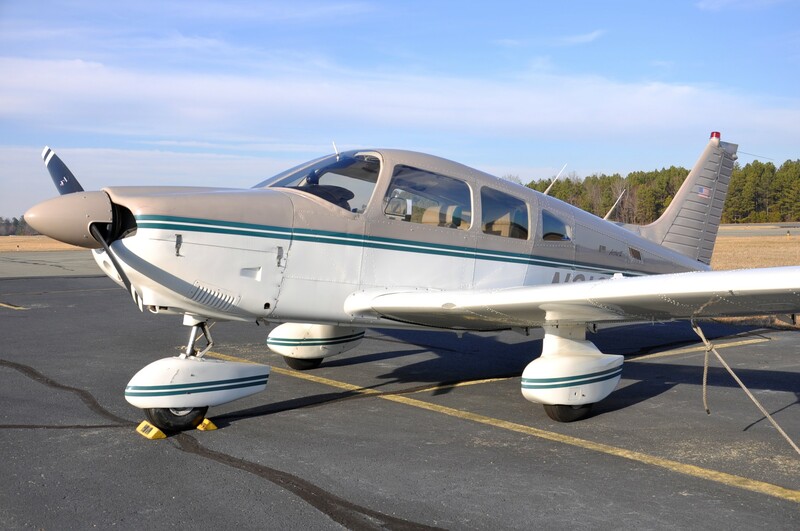 and our Beechcraft C33A Debonair offers our members a fast (165 kts), Garmin GTN650-equipped cross-country machine. With a number of approved Certificated Flight Instructors, the Club is an excellent option for student pilots seeking a private pilot's certificate. We do accept a limited number of student pilots into our membership. The Club's approved CFIs are qualified to provide instruction towards any certificate or rating. Whether you want to learn to fly, earn an instrument rating, or obtain your commercial certificate or become a flight instructor, our CFIs can get you there. Formed in 1967 at Olathe Naval Air Station (now New Century Airport), the Flying Club of Kansas City (formally the Kansas City Navy Aero Club) has been in operation for over 50 years. With a focus on safety, the club has maintained an enviable safety record over its many years of operation. The Club's airplanes fly an average of 300 hours annually. Our airplanes are well-maintained with an emphasis on ensuring a high dispatch rate while still ensuring the highest level of safety. Our Club members range from students just starting out to retired airline and military pilots with many thousands of hours. While the Clubs name, location and airplanes have changed over the past fifty years, it is still dedicated to providing low-cost, safe flying in quality airplanes in the Kansas City Area. Check out the links above to learn more, or feel free to email us with questions or to join up. We meet monthly, generally on the second Tuesday. You can generally find us at the BrewTop, 6601 W 135th St (Corbin Park, southeast. corner of 135th and Metcalf.) Join us at 6:00 for a pay-as-you-go social hour and dinner, and Club meeting and aviation safety presentation at 7:00. Visitors (and their spouses) always welcome. Feel free to contact us to confirm the location and time.